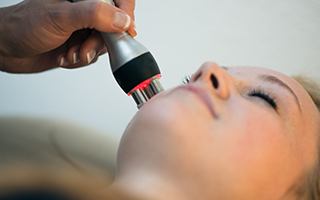 “Our goal is to provide a non-invasive comprehensive holistic approach to the transformation and elimination of cellulite from the skin.” – Sherry A. Fong D.C.
Lipotripsy, Acoustic Wave Therapy (breakdown of fat/cellulite reduction), Ultrasound Cavitation (disruption of fat cells /cellulite reduction), Radio Frequency (collagen production/skin tightening), Medical cupping (lymphatic drainage/micro circulation). After puberty, roughly 90 percent of women start to develop cellulite. Cellulite is a nagging, frustrating and discouraging problem for most women, even for those who work hard at staying fit. The reason is that cellulite is not just a fat problem, it is primary a skin problem. Cellulite is make up of fat cells that reside deep within the skin. The fat can not be burned as energy. Dieting and exercise will not eliminate cellulite. Cellulite is mainly caused by a genetic condition which promotes the formation of scar tissue( fibrotic tissue) to strangulate the fats cells, compress the lymphatic drainage and limit the blood flow and nutrients to skin with cellulite. This results in the stiffening and hardening of connective tissue, pulling the skin down. This activity of the fat cells and the connective tissue products a dimpled, orange peel like skin texture. In addition, fluid retention due to an inefficient lymphatic drainage system and weak veins combined with fibrotic tissue results in permanent cellulite formation. Hormonal imbalance plays a large contributing role in cellulite formation and can cause the development of more fat cells to deposit deep below the skin. Schedule your consultation today to discuss the best option for smooth firm cellulite free skin. Below are the different techniques and methods used for your Anti-Cellulite Treatment sessions. Each of the services are utilized to create a customized package tailored to your needs. Non invasive Acoustic Wave Therapy delivers acoustic energy to the target cellulite area, the formation of scar tissue called fibrotic tissue. 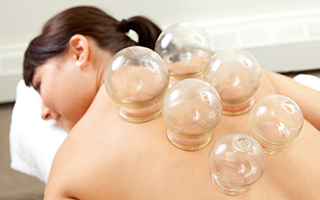 Non invasive medical cupping is applied to the surface of the skin to stimulate lymphatic drainage and micro circulation. Our non invasions Radio frequency for the surface of the body’s skin which is aimed at improving blood flow and lymph circulation. 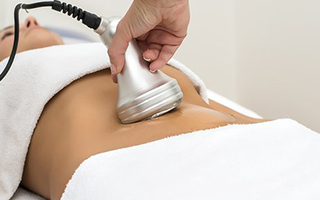 Our non invasive Ultrasound Cavitation therapy effectively reduces localized subcutaneous (superficial) fat and cellulite on the body by applying concentrated low energy sound waves to heat and vibrate cellulite areas.